The finance ministry has decided to issue directives to public sector banks to be more transparent in their dealings, cut the role of intermediaries, and fix accountability for actions at the top level. This comes after the arrest of Syndicate Bank Chairman S K jain. The Department of Financial Services swung into action as it suspended Jain on Monday and and held an internal meeting on Tuesday to discuss ways to prevent more such cases. The issue has also been discussed with Finance Minister Arun Jaitley. “We are thinking of how to cut the role of intermediaries. "There should be more openness and people should be held accountable. Approvals must be given in a timely manner. "An advisory will be issued to state-owned banks in a day or two,” said a government official who did not wish to be identified. Jain’s case might also act as a trigger for pushing reforms at the boards of government banks. The finance ministry will make a stronger case for splitting the post of chairman and managing director and giving fixed five-year tenures to the heads of PSBs to make them accountable for their decisions. “When the government gets complaints against CMDs of PSBs and confronts them on it, their standard response is that the decision was taken by the credit approval committee. "It can’t be collective responsibility. Head of the committee has to be accountable,” the official added. "A former RBI governor, however, said the problem cannot be fixed unless the government stops interfering in the functioning of state-owned banks. “This is a very big problem. "There is too much government intervention. Credit appraisal in state-owned banks is extremely weak and, as a result, non-performing assets are rising. "It is important that the government stays away from day-today functioning of these banks,” he said, requesting anonymity. 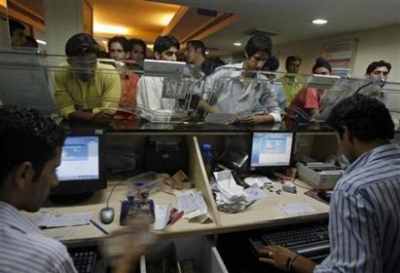 Banks will also be asked to strengthen the role of chief vigilance officers. Currently, the CVO is an outsider and 'doesn’t function effectively', but now he will have to play a more effective role. In order to build some safeguards and ensure genuine customers are not unnecessarily harassed by extra-cautious bank officials fearing action from investigative agencies, the finance ministry might also ask the banks to set their processes in a way that the customer knows the status of his application or request. If a bank is rejecting a loan it should give the reasons for same and not keep customers hanging. “People doing their work sincerely should not be penalised. "If someone has taken bonafide decision with no ulterior motive he should not be punished if it goes wrong,” said the official. CBI arrested Jain on August 2 for allegedly accepting bribe of Rs 50 lakh (Rs 5 million) to enhance the credit limit of some companies.The RBI has initiated inspection of the books of Syndicate Bank. Jain, 54, was one of the youngest CMDs of a public sector bank and was due to retire in 2020. After the announcement of monetary policy, RBI Governor Raghuram Rajan also said a balance has to be maintained and the investigative agencies should be careful that while culprits are brought to book, it doesn't become a witch-hunt which then stalls the entire credit process.